Power Steering is a performance improvement for any Mopar muscle car to achieve that modern feel and response. Now available through PST from Borgeson is the quick 14:1 ratio power steering box for the 62-82 A, B, C and E-body Mopars. This power conversion box will bolt in stock location and work with your original pitman arm while maintaining your factory geometry. Whether you are on the road or in a parking lot, response is everything from a comfort standpoint to safety. 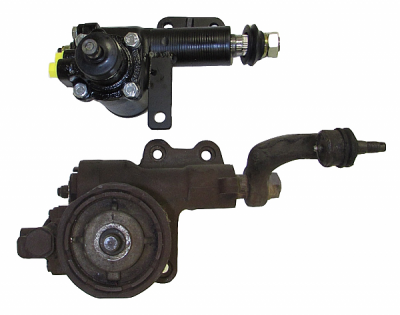 Take control with PST's Mopar quick ratio power steering box. This item ships direct from the manufacturer and can take 7-10 business days to ship. Note: This box will fit all original Mopar 1-1/8” pitman shafts. If your car has the larger 1-1/4” pitman shaft you will need to purchase part #SC800127. Steering column will need to be cut/shortened for installation. 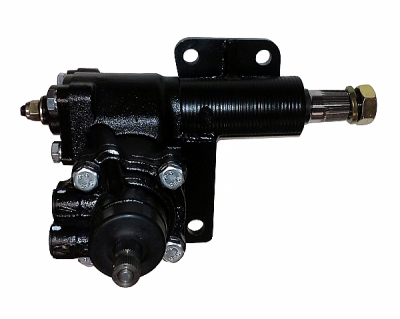 We require steering coupler #SC036425 for installation with stock steering columns. Connection to aftermarket columns will vary.